Three-year-old Kyle is very much fascinated with Disney coloring pages nowadays. He enjoys using crayons, water color, paint and pens! Since he could finish a coloring book in less than a week, printing free coloring pages online is a practical option. How I love watching his little fingers coloring as he develops skills such as hand coordination and motor skills which are necessary for his age! Here’s a roundup of our favorite sites for printable Disney coloring pages. Find free coloring pages featuring different Disney characters for your kids too! My nieces and my son… they all love coloring! Since Kyle mostly enjoys coloring cars (lighting, Mcqueen specifically), checking out coloring pages over Disney website is one of the first places I usually do. Click here to visit the link that will direct you to the page that Disney calls Magic Artist. On the site, you can first pick a Disney character that will later on refresh with plenty of thumbnail to choose from. Yes, you may easily print the selected images by clicking the PRINT button. The site has a wide selection of Disney pages to print out and color. Here you will find links to hundreds of Disney coloring pages including Disney Princesses, Disney TV, Winnie The Pooh, Classic Disney, Holidays with Disney & Disney Movies. You will surely find printable Disney Coloring pages that your kid will like on this website as it offers several coloring pages that you can download and print out with a variety of Disney characters! Educational Coloring Pages also has hundreds of printable Disney coloring pages to choose from.It also has this section of free coloring pages from A to Z with tons of choices available. This site has amazing collection coloring pages that are ideal for toddlers. 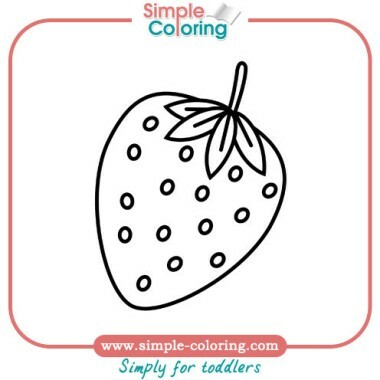 Simple objects such as flowers, cars and fruits that toddlers find interesting to color can be found here. To use, simply right click the images, save, and print! Crayola is my favorite site (and it was the brand of my crayon when I was a kid, and now Kyle’s!). Have your toddler color Disney cards, fairies, princesses and more! The site also offers easy to download printable Disney coloring pages.